For over 30 years, Home, Door and Window Products has been serving the Auburn Hills area by providing beautiful security storm door products. We have built an outstanding reputation with our local customers, and we want you to trust us for your next storm door replacement. We can promise you that Home and Door provides the highest quality and the best service in the storm doors industry at prices that will fit any budget. Our experienced team will help you find that one-of-a-kind security storm door you have been looking for. What are you waiting for? Come see us today! Located in Oakland County, Michigan the city of Auburn Hills is a community with the heart of a small town that operates with the excellence of a world class city. Known for its 22 high-tech parks and world-renowned retail shops, entertainment and manufacturing the 21,412 residents of Auburn Hills enjoy the amenities of city and suburban living. Also, well known in Auburn Hills are the excellent services of Home and Door, providing quality products including Fox storm doors and Trapp storm doors. A new security storm door from Home and Door will enhance the look of any home or business. The professional staff at Home and Door are excited to show you the latest technology and designs for storm doors waiting for you in our extensive showroom. 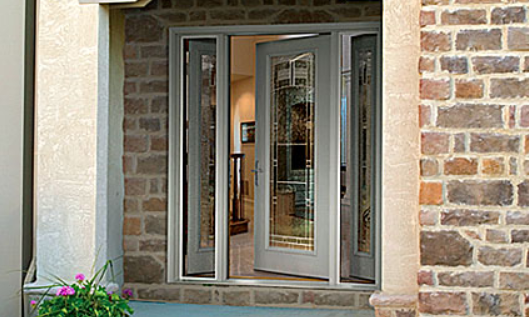 Fox storm doors are reliable and affordable and come in many upscale designs and color options to fit any décor. At Home and Door, we know you want quality, so we deliver our storm doors that go above and beyond our customers’ expectations. Stop in today to see what options are available for your home. For more information, or to set up a free in-home estimate call Home, Door and Window Products at (248) 399-9900 today!